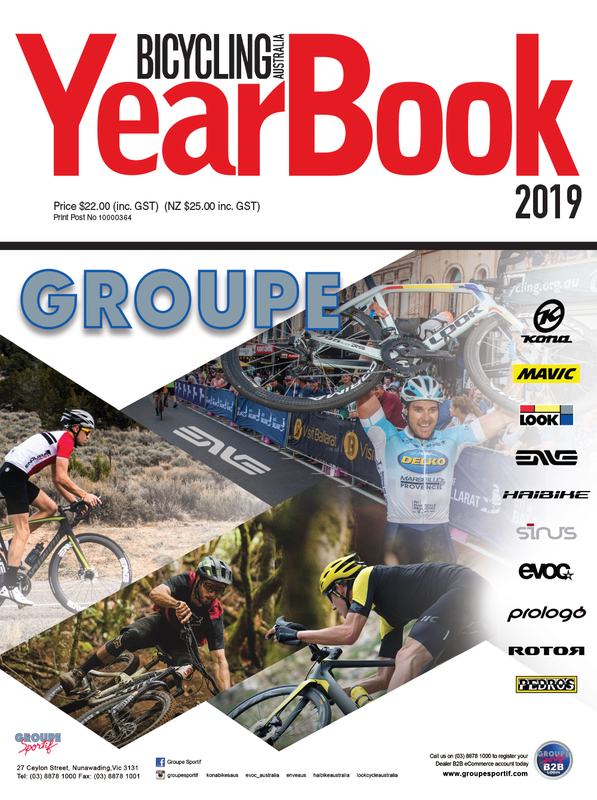 It seems not a week goes by without several major product updates or releases in the world of cycling - here we take a quick look at the latest in gear & accessories. You’ve seen Richie Porte at the Tour Down Under in his new team kit, now you too can proudly wear premium Trek-Segafredo gear this year. Look pro and cut some style in the Trek-Segafredo team cycling cap. Manufactured of high-quality materials by Santini, this cap fits perfectly under any helmet and offers additional protection from this endless summer. The Trek-Segafredo team logo is proudly displayed in this great-looking red and white cap. top-level comfort for rides of varying length and intensity. Key attributes include ‘Profila Dry’ materials designed to wick away moisture and dry quickly. There’s a full-length YKK zip for ventilation on those long climbs and warm days, and a rear zipped security pocket with audio routing for easy access to your mobile phone + earplugs. In addition to this three deep and secure rear pockets provide convenient access to your ride needs. Subtly display your fondness an enthusiasm for the Trek-Segafredo team with these pro socks made by renowned manufacturer Santini. Designed for and worn by the Trek-Segafredo pro team - riders who spend more time in the saddle than just about anywhere else - these socks provide remarkable breathability and sensational all-day comfort. *Manufactured to exacting specifications by Santini. *Light, breathable materials deliver race-day comfort and performance for riding on any day. *The taller crew length adds style and protection. *Tops off the Trek-Segafredo team jersey, knicks and cap. 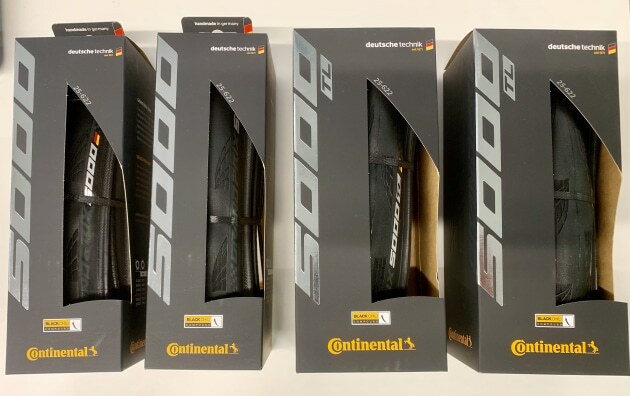 Grand Prix 5000 plus the TL version, yes, the company’s first tubeless tyre for road. The tyres weigh in at 240g in 28mm and 300gm in 32mm. The Xplova X5 EVO is the worlds first GPS cycling computer with an integrated video camera out front. This is an advanced GPS cycling computer powered by computer giant Acer and distributed nationally by Bikesportz. Xplova Brand Manager Tim Okraglik said one of the key features, and its main point of difference, is the safety camera on the front. The camera is 720p (at 30 frames per second with a wide 120 degree field of view) and features various modes including loop mode which provides a two minute loop so you can use it as a safety cam. There’s also time lapse mode that takes snippets of your ride that you can compress to one video at the end. The unit features 8G of RAM/1G of flash memory. Accessing data and transfer of those important video moments are set up via onboard wifi. Via the Xplova app a user can pair the unit with various training apps such as Strava and Training Peaks. Battery life is listed as 12hrs and the unit features ANT+. They are waterproof rated to IPX7 (maximum 1m under water for 30 minutes) and each device is shipped with an out front mount which is Garmin compatible. 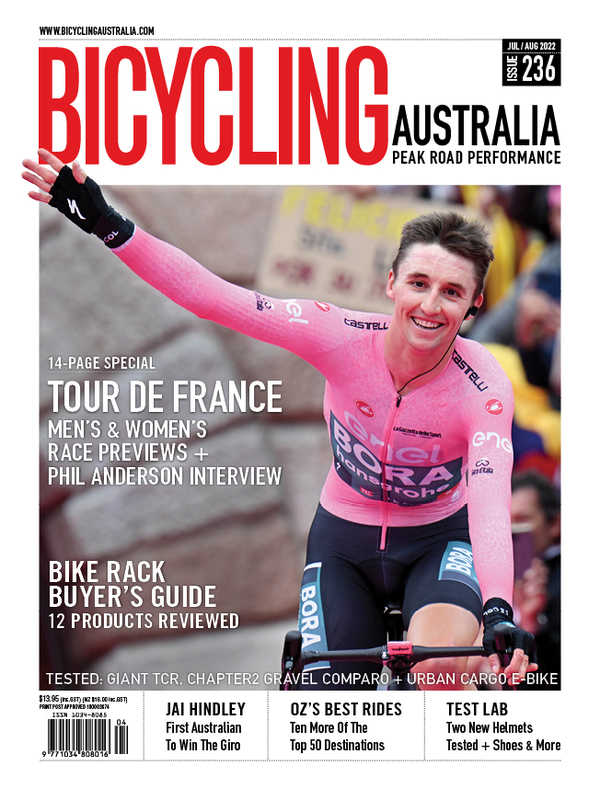 Bicycling Australia have been extensively testing this device - see more on our website. ‘The ‘Tradie’, by Sydney-based Prism, would have to be one of the most unique kits seen in a very long time. The brainchild of Oli Rainbow, the kit is designed to help the rider ‘stay safer on your commute by mimicking the clothing of choice for Tradies. Despite the kit’s working class looks, it features all-Italian fabrics, a relaxed fit jersey and a 'World Class Grand Tour' chamois bely. According to its creator it’s the only kit in the world “optimised for smoko” and features “Union-ish badges and slogans as added deterrents”. 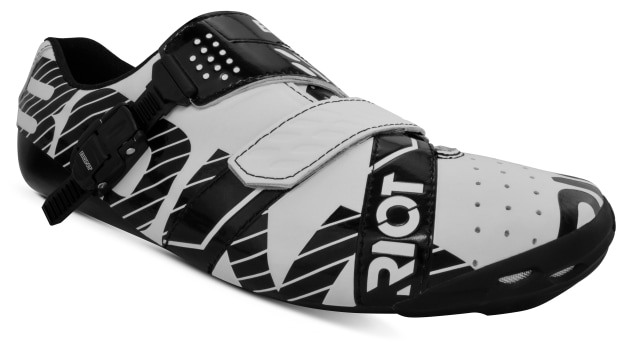 Although it’s an entry-level shoe the Bont Riot offers a whole lot of bang for the buck! That and the fact at first glance they could easily be mistaken for the company's top model, the Helix. High-end Bont shoes are renowned for their world-class performance and anatomical power transfer platform and this model is no different. The shoes feature fiberglass construction with an anti-stretch Microfibre upper, a stack height of 4.8 mm and replaceable sole guards. The fit is customizable via a fully heat moldable chassis that utilises epoxy thermoset fiberglass. Closure is via a Velcro strap and micro adjustable buckle. Color options available are White/Black or Black/White. The shoes weigh 295g each in size 42. Pro have firmly stamped their mark on the bikepacking / adventure scene with the launch of the Discover series of storage bags. With gravel and adventure riding booming, it's a timely launch for what will no doubt be popular items. Included in the range are top tube, frame, seat post and handlebar bags, all finished in a durable and heavy duty yet light weight grey ripstop fabric. A seat post bag is often the first on the 'to buy' list. The Discovery features a large 15l main compartment, top bungee cords for quick access items, unique rubber damping pads on mounting points and a reflective strip at the rear. It is fully waterproof and designed to stay securely in place with no swinging motion while under way. The top tube bag is handy for those go-to mid-ride essentials. It can be secured via Velcro or hidden bolt mounts, features an easy slide zip and side bungee straps. Capacity is .75l and, like the other products in the range, the rugged material is completely waterproof. The handlebar bar is 8l in capacity, features an anti swing padded Velcro securing system and is perfect for carrying lightweight sleeping essentials. To the all-important frame bag and this one features two compartments and a total capacity of 5.5litres. Again it is fully waterproof, features adjustable Velcro straps for multiple frame sizes and configurations. The new bike packing line can be bought separately or as a complete set. Bike locks and road bikes don’t tend to mix. Think security and you may imagine a weighty padlock and potentially frame-damaging chain. Well, what used to be cumbersome and clunky is now lightweight and even wearable - well that’s the case with some of the models from Hiplok . 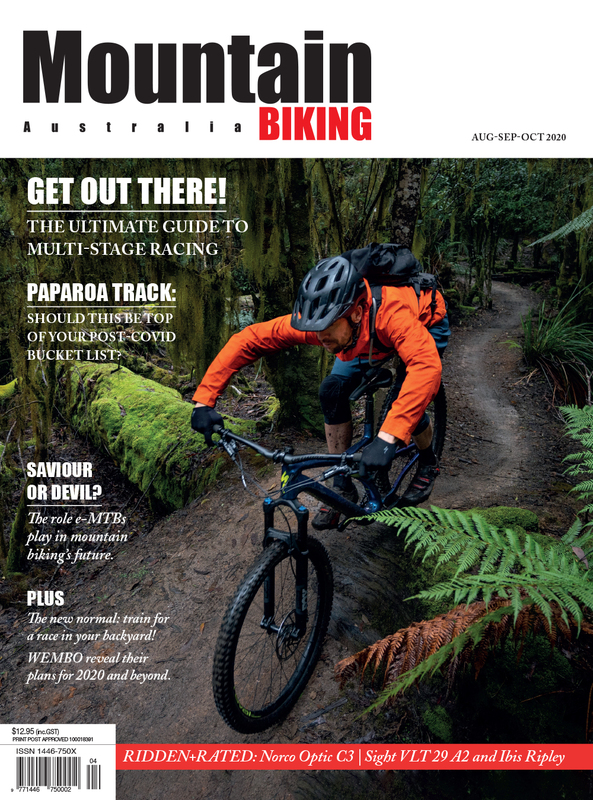 For the past few months Bicycling Australia have been field testing two of the zip models from the UK-based company, the ZLOK which is available in a keyed and a combination locking version. Security wise these locks are not designed to be a substitute for an old-school heavy duty chain and padlock however they do feature a steel core with heavy duty plastic coating. But for quick trips away from the bike they provide a quality and trustworthy locking solution, are a great visual deterrent, and offer peace of mind. Effectively an ultra-heavy duty reusable zip tie, the ZLOK is lightweight, easy to carry won’t damage your precious paintwork and is an affordable bike security solution. The Tour de Brisbane is an exciting new mass participation event that will fundraise for the Amy Gillett Foundation. This is cycle tourism at its best, featuring closed road rides and a fully supported cycling experience. Plus there are various ride options and a heap of supporting activities. Celebrate and be part of Brisbane's cycling collective. Have the ride of your life on Sunday morning April 14 at the Tour de Brisbane, then head out to the Anna Meares Velodrome and watch the pros at the Six Day World Grand Final. The Tour de Brisbane is all about riding at your pace and promoting city safe cycling - whether you're going for a pedal or going for the podium, there's a group for you. And above all, get out, get active, and have fun!